Melissa is an accomplished human resource professional with expertise in employee relations, employment law, talent management & acquisition, training and development, change management, compensation, benefits, workers’ compensation, safety, and data analysis. 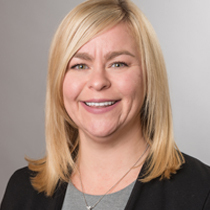 Prior to joining the ConnectedHR team, Melissa’s human resource leadership experience included working for 2 Fortune 500 companies (McGraw-Hill Education and ADT Security Services/Tyco Fire & Security) as well as 1 non-profit organization, in both union and non-union work environments. Her executive level experiences include corporate programs development, reduction in force execution, training and development. Melissa holds a B.A. Business Management with a concentration in HR from Capital University. Melissa also has a Masters of Business Administration with a specialization in Human Resources from Ashland University. Melissa originally grew up in the Toledo area and currently resides in Medina with her husband and two children. As a very driven, energetic and self-motivated and results oriented HR leader, Melissa is committed to the success of the organizations she supports.